Read an interesting post on the American Atheist website. The topic was about people who say “I have the right to my own opinion” when their beliefs are challenged. The author, Justin Vacula, made some good points as to why such a statement is the wrong one to use is discussions. 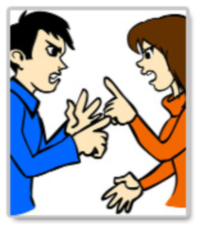 This entry was posted in Essays and tagged american atheist, argument, beliefs, creationism, debate, disagreement, evolution, philosophy, reason and argument, truth value on October 16, 2011 by Doug. How can someone find out if they may be a Humanist? That question is one that is asked frequently. 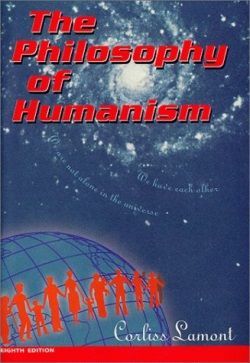 I gave a simple definition on the introduction to this section but for those who wish to have a more detailed explanation of what makes up the Humanist philosophy, I offer a selection from Corliss Lamont’s book The Philosophy of Humanism. I think he sets out good points as to what Humanism is about. This entry was posted in Intro to Humanism and tagged Corliss Lamont, non-theism, philosophy, principles on January 1, 2005 by Doug.